Made in Paris between 1948 and 1958 by Mélodium Société, 296 rue Lecourbe 15eme. 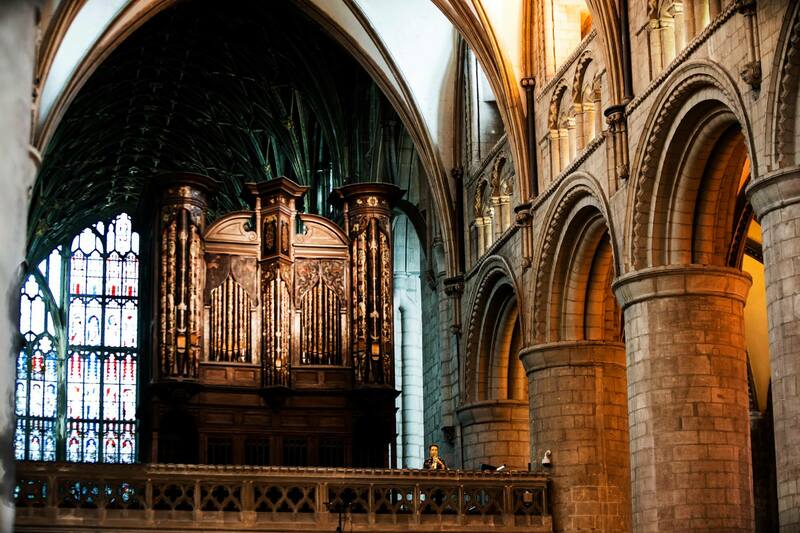 Although visually the design harks back to the 1930s it has a surprisingly modern sound. This is borne out by the frequency graph, which shows a smooth response from 50 Hz to 10 kHz. There is a presence lift of 5db at around 4.8 kHz which lends clarity and crispness, particularly to speech and vocals. The 75A boasts a very light duralumin diaphragm and voice coil (30mg), giving good transient response. 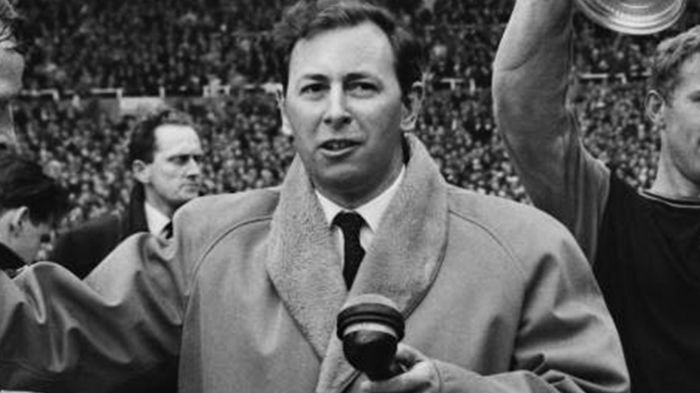 It is also claimed that the microphone is impervious to wind, making it an excellent choice for outside broadcasting and sports reporting. 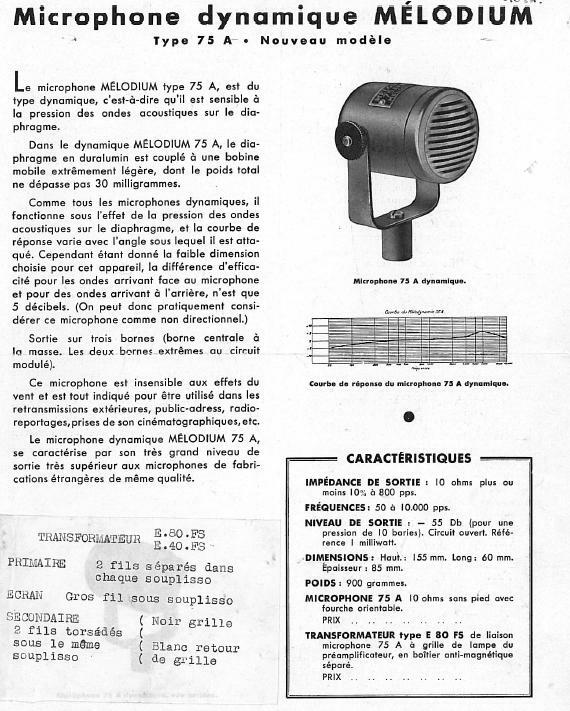 The grill design featured in the technical leaflet above was used on the earlier models. If you buy a Mélodium 75A it is worth noting that it has very low impedance (10 ohms) and will require the services of an appropriate preamp. N.B. Right hand pin is ‘hot’. Left hand pin ‘cold’. Centre pin is earth. 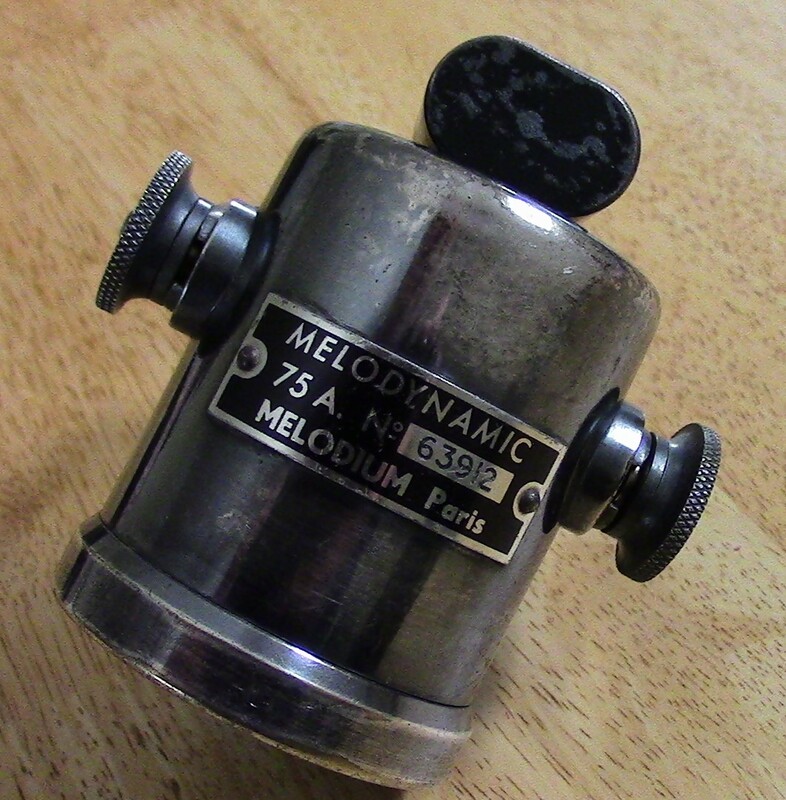 The Mélodium 75A was employed extensively by French broadcasters and was used by many famous entertainers and politicians, including the singer Edith Piaf and President Charles de Gaulle. 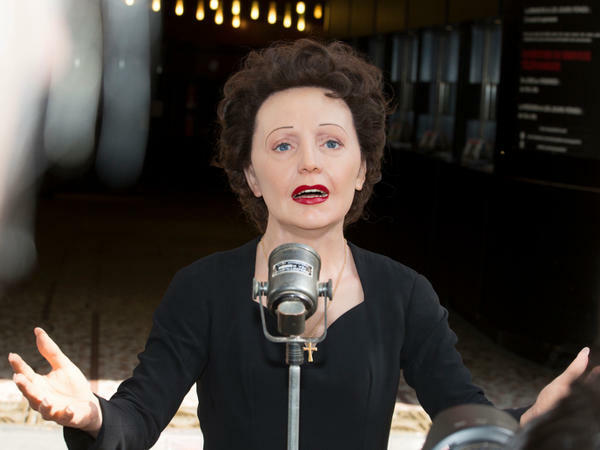 Even with this slightly creepy, wax works figure of Edith Piaf, at Musée Grévin in Paris, the Mélodium 75A takes stage centre! I was born on January 20th 1951 at St Mary’s Hospital for Women and Children in the centre of Manchester, just across the road from the Palace Theatre. Less than a mile away, at the BBC Studios in Piccadilly, engineers were avidly thumbing through their copies of the very latest BBC ENGINEERING TRAINING MANUAL . MICROPHONES! My copy arrived yesterday! (courtesy of eBay). It is in nearly new condition and sadly it’s unmarked pages have all the ‘vibe’ of a book that has never been read! In recent years I have often regaled students with my reflections on how much audio technology has changed during my lifetime. Reading through this book really brings it home! It is a window into a long-gone world of engineers in brown lab coats and announcers at the microphone in evening dress. For me, as a child, it was the world of ‘Listen with Mother’ and ‘Children’s Hour’ and seeing the valves glowing in the back of the mahogany veneered wireless set on a shelf next to the fireplace in our living room. 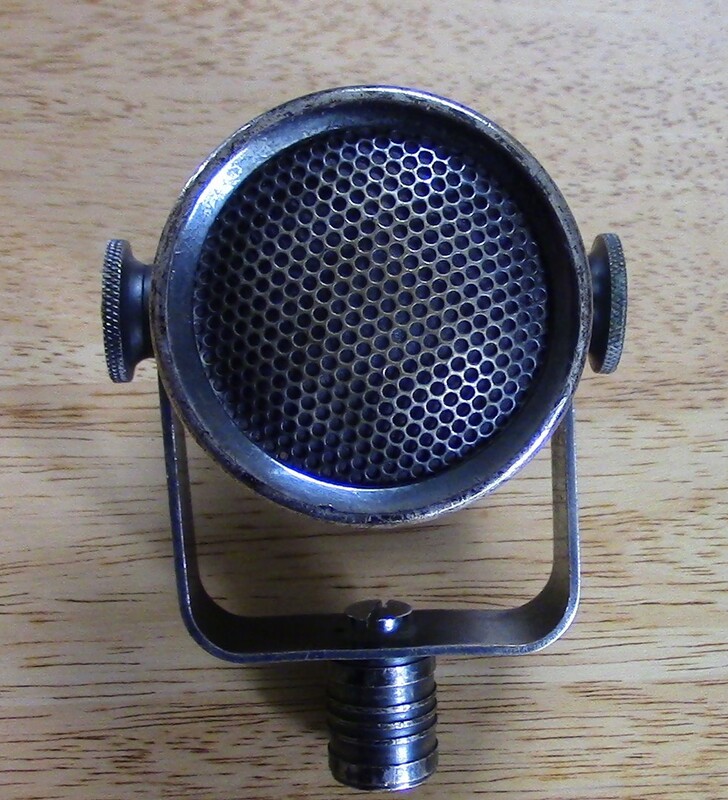 My earliest memory of a microphone was standing on a box in front of a huge Marconi AXBT ribbon mic having won a prize in a BBC Children’s Hour competition at the age of 7 or 8. (It looked just like a giant ice cream cone!) I was presented with a silver propelling pencil by the producer Trevor Hill. I said ‘Thank You’ in the general direction of the mighty Marconi, and was escorted back to my seat. Anyhow, back to the book. What is most striking is how slender this volume is (114 pages). 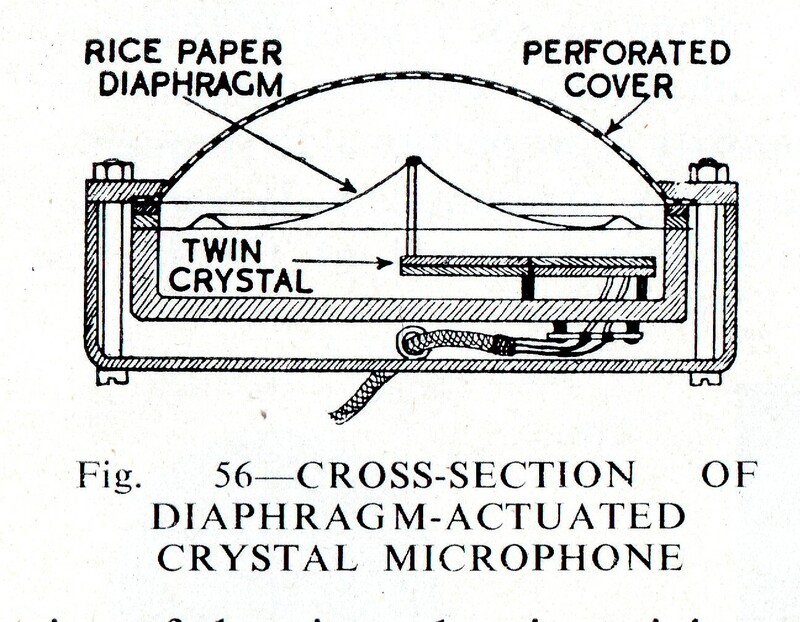 Most of it is taken up with detailed information about the propagation of sound and the physics involved in microphone design and construction. Much of this is still useful knowledge. 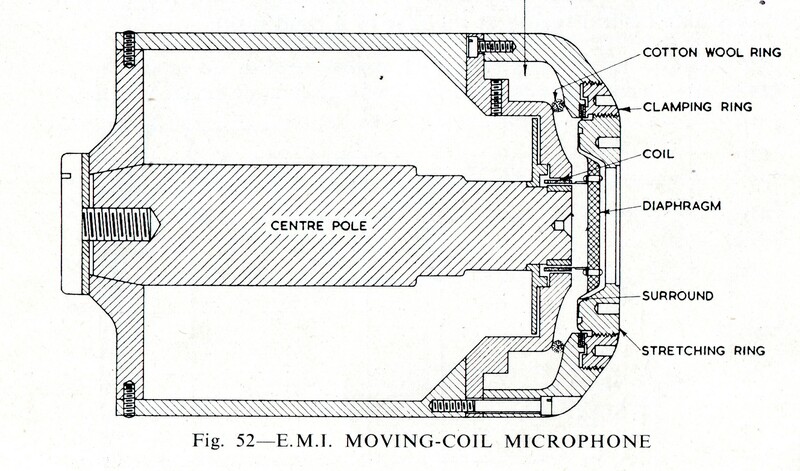 However, only 7 different microphones are described in detail and most of these had already been in service since the mid 1930’s. Here, (to give you a flavour of this informative little book) are some of the illustrations. 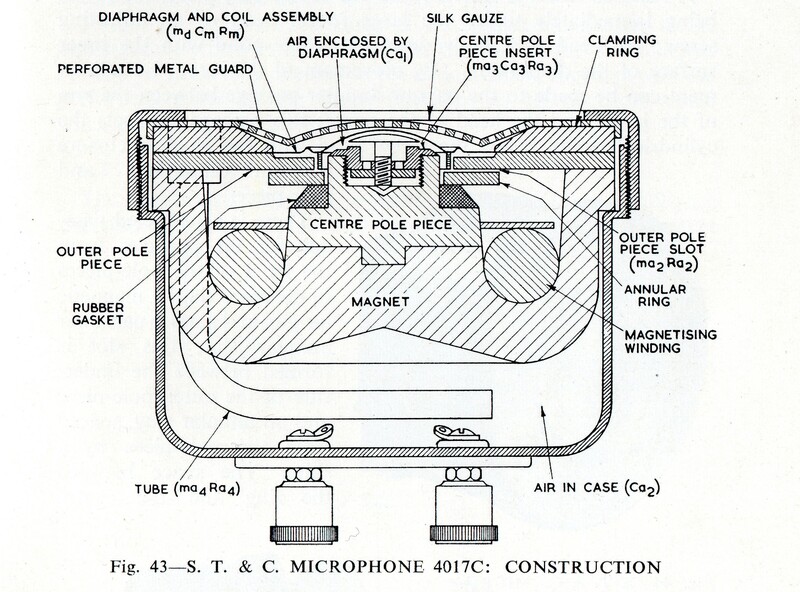 From 1938 to 1953 the STC 4017C was the main BBC outside broadcast microphone. Built like a tank, with a solid copper body and an aluminium diaphragm, it was a very robust dynamic. Although, in theory omnidirectional, it did exhibit some frontal directionality at higher frequencies. 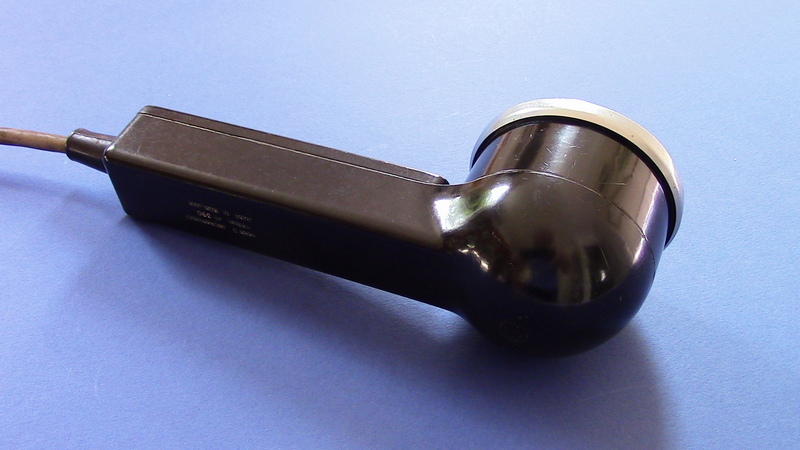 The STC4021 , nicknamed the ‘Apple and Biscuit’, was a high quality dynamic mic which, due to its spherical shape, was truly omnidirectional. It was mounted vertically and was used for a variety of purposes including ’round table’ discussions and interviews. 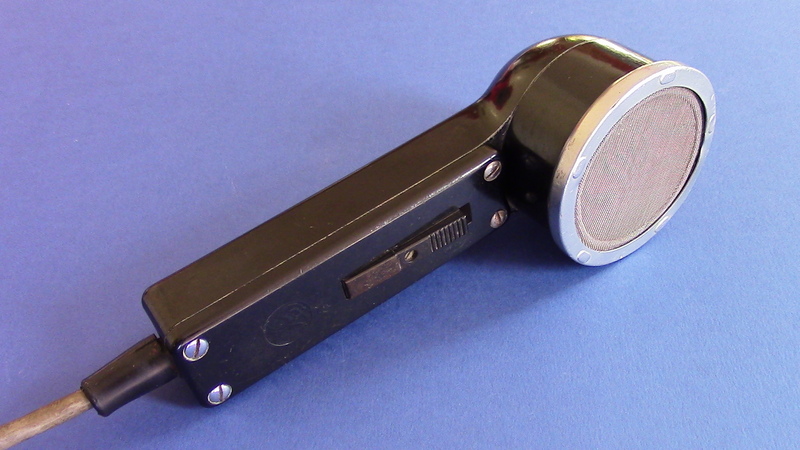 It was also used as a talkback mic. 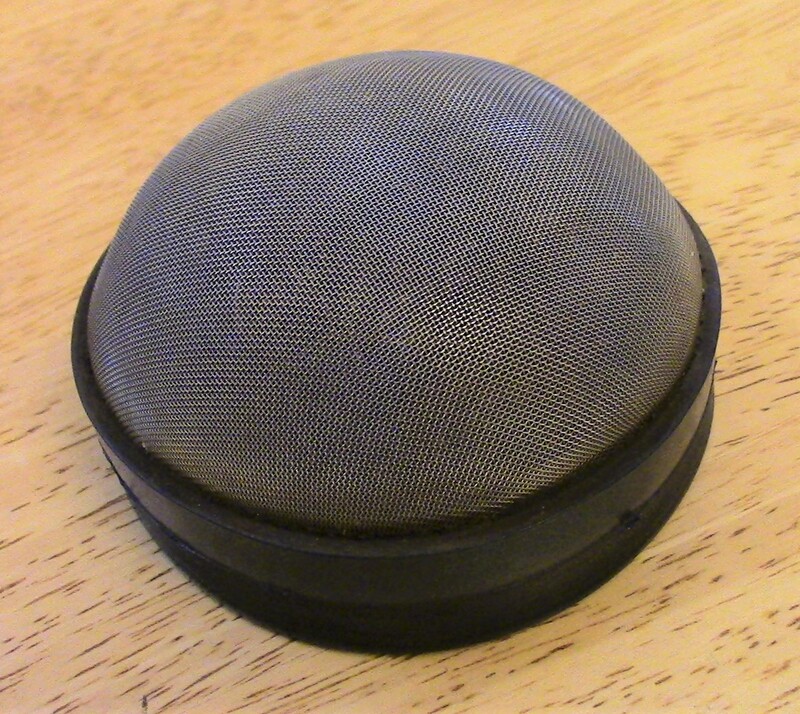 Developed by Holman and Blumlein working for the Columbia Gramophone Company (later E.M.I.) 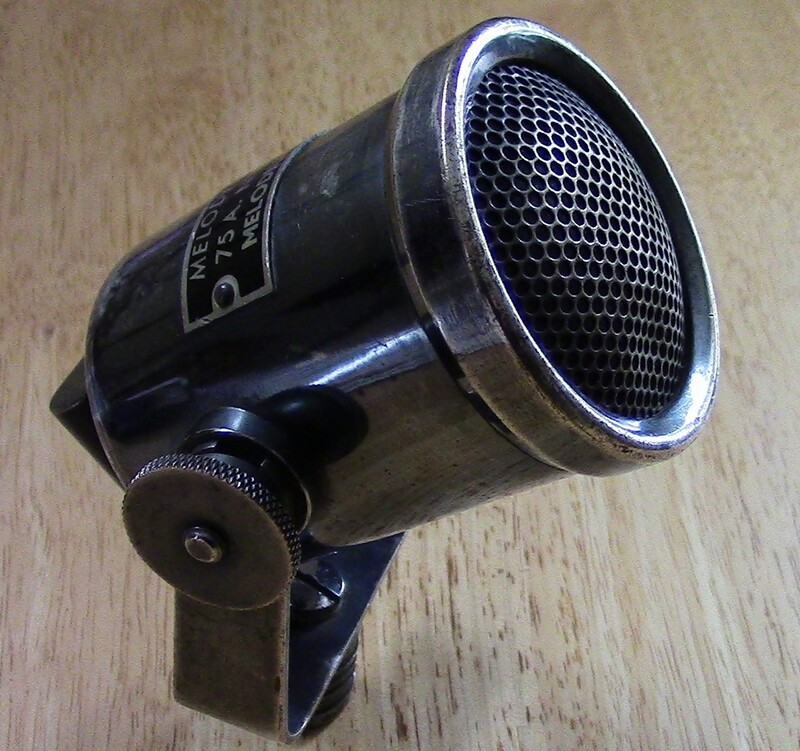 , it was used extensively by the newly formed BBC Television service at Alexandra Palace from 1936.The unusual thing about this microphone is the fact that it’s diaphragm is made of thin balsa wood enclosed between two sheets of aluminium foil! Interestingly, the description in the book ends with something of a warning…….. ‘the instrument is less suitable when high quality is a major consideration’ !!!!! 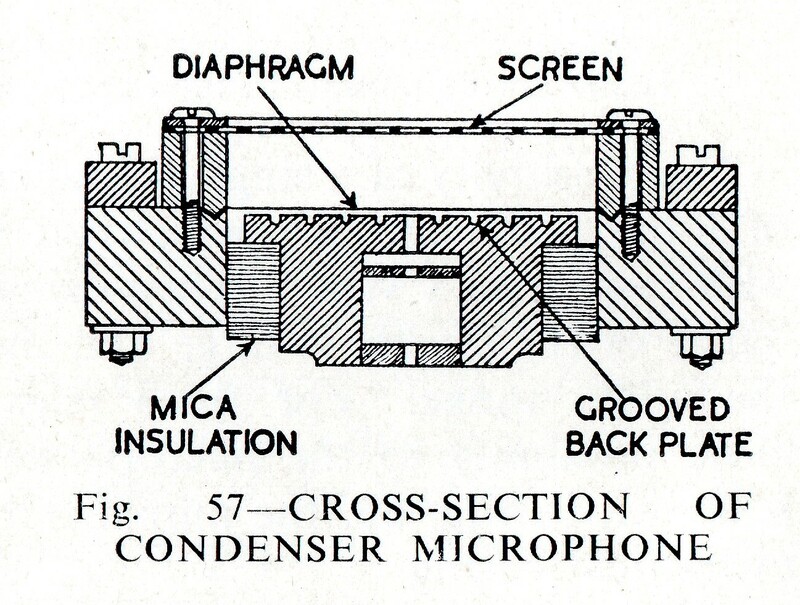 The Marconi Condenser Microphone with built-in amplifier was a large and extremely rare beast, introduced experimentally in the mid-1930’s. Even at the BBC it was not commonly used. Early condensers were prone to suffer with crackling caused by moisture.When it was employed it was mostly to be found at concerts. 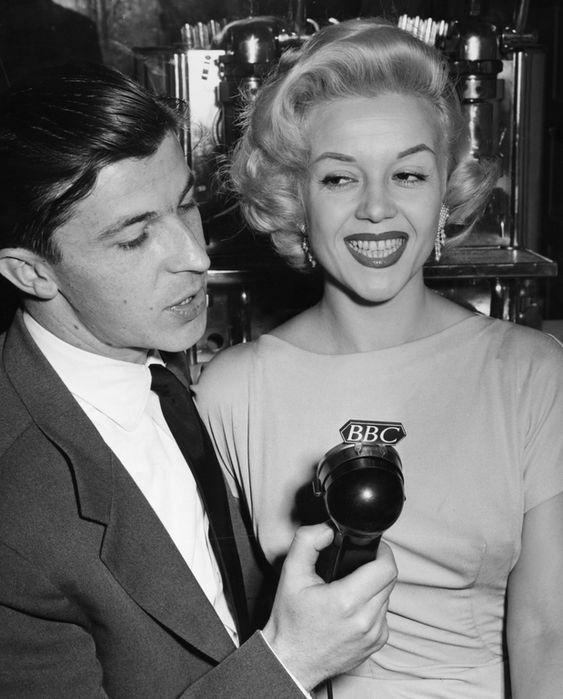 I have never seen a BBC studio picture with one of these. Not sure what it’s duties might have been. 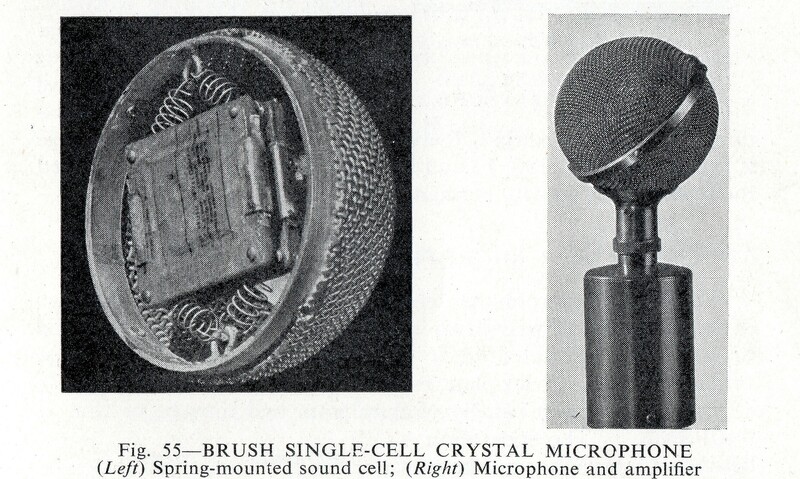 Perhaps, included in the manual simply because it is an example of a crystal mic? 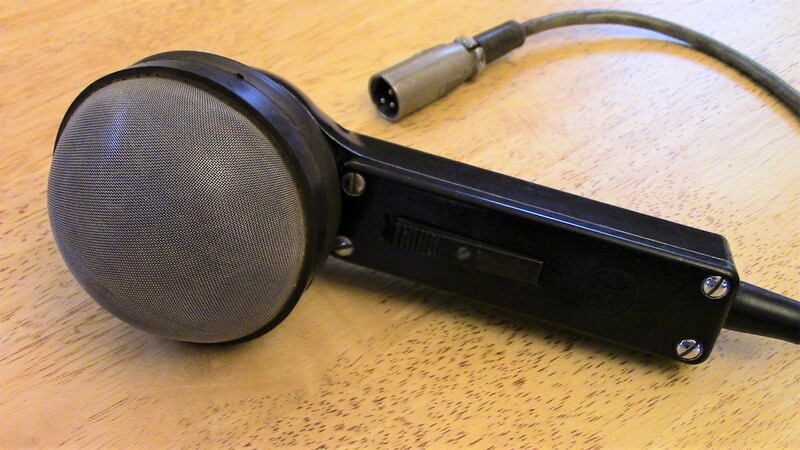 These were quite common at the time as PA and announcement mics. 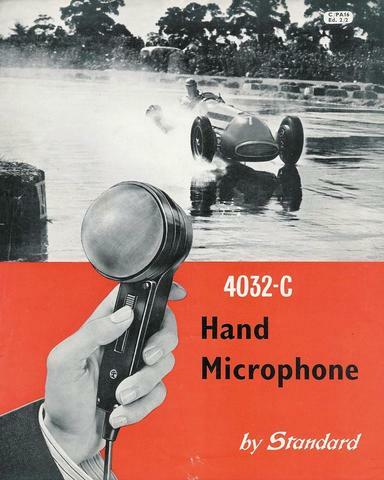 Also quite popular with amateur tape recordists. 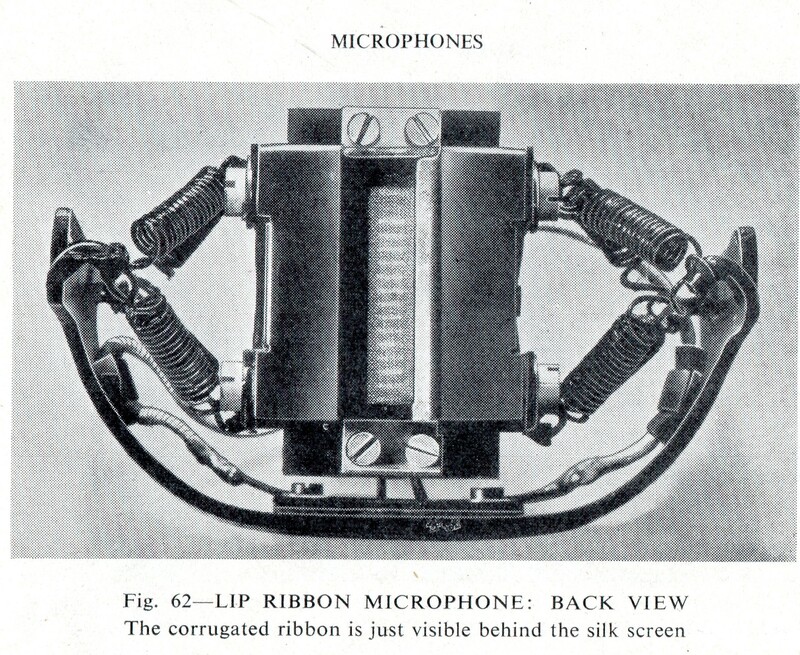 The Marconi Lip Ribbon Microphone (designed by the BBC in 1937) is a noise cancelling device which was used for sporting commentaries and broadcasting in noisy environments. 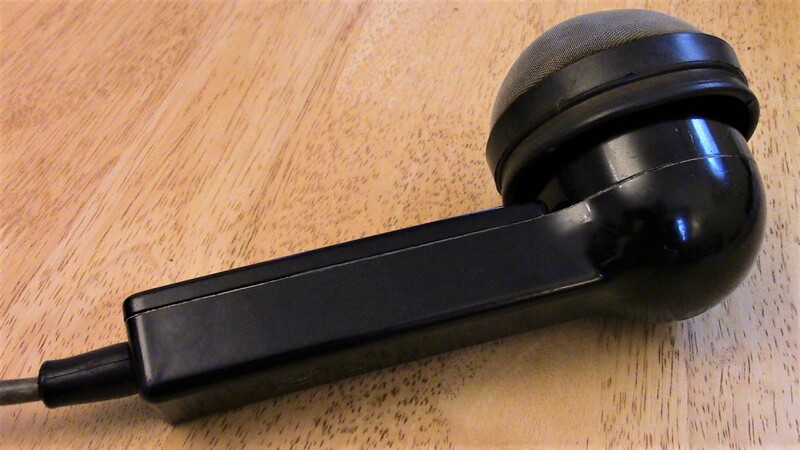 It was designed for very close speaking with the ribbon protected from the impact of the speaker’s breath by the enclosing magnet. 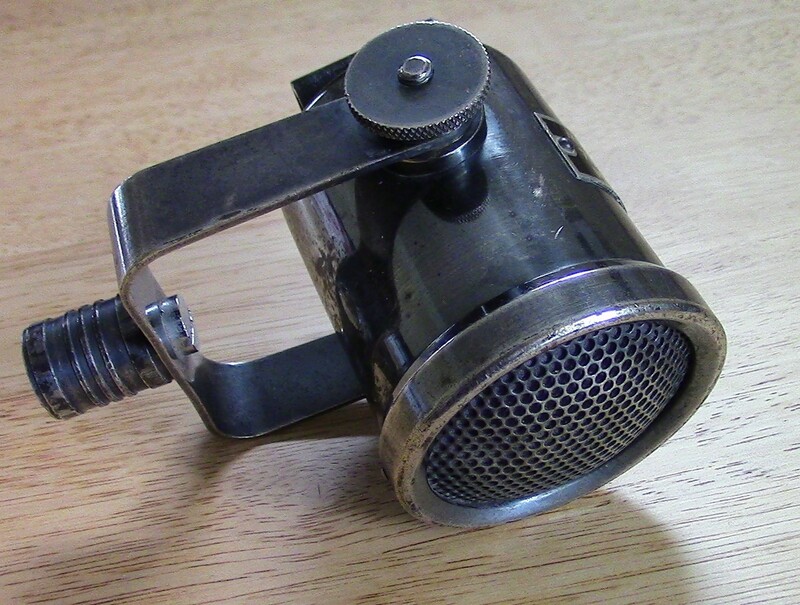 (see pics above) One of the most important features of this microphone is the mouth-guard, which is pressed up against the speaker’s jaws, thus maintaining a constant distance between the mouth and the ribbon. This ensures against changes in frequency response, and volume, caused by fluctuations in distance. 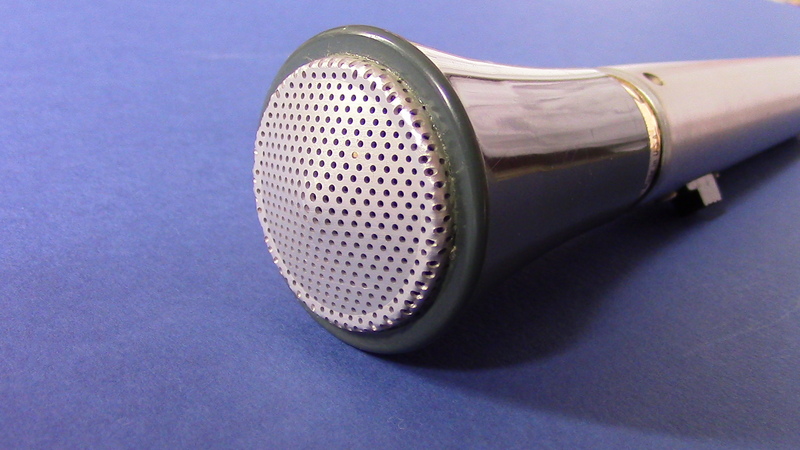 A variation of this microphone is still made today for the BBC by Coles (formerly STC). In 1953 BBC Television broadcast live the Coronation of Queen Elizabeth II. Amongst the most notable features of this historic broadcast was the commentary delivered by Richard Dimbleby inside Westminster Abbey. 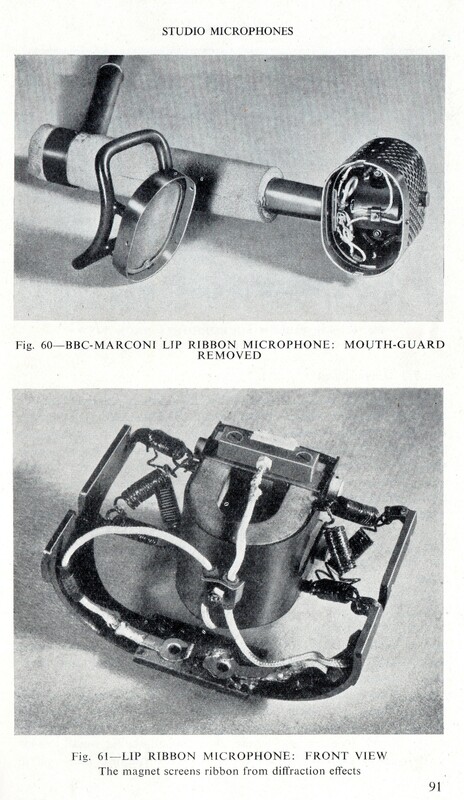 The microphone used on this occasion was the latest Marconi L.2 Lip Ribbon mic. The perfect choice! The closeness of the speaker to the microphone, and the rich tone of Dimbleby’s voice, served to give the listening audience an intimate, sense of the grandeur of the occasion. The isolating characteristics of the lip microphone also served to focus attention on his voice. Dimbleby was the undoubted master of this technique of close-mic’d delivery which became a hall-mark of British State occasions. 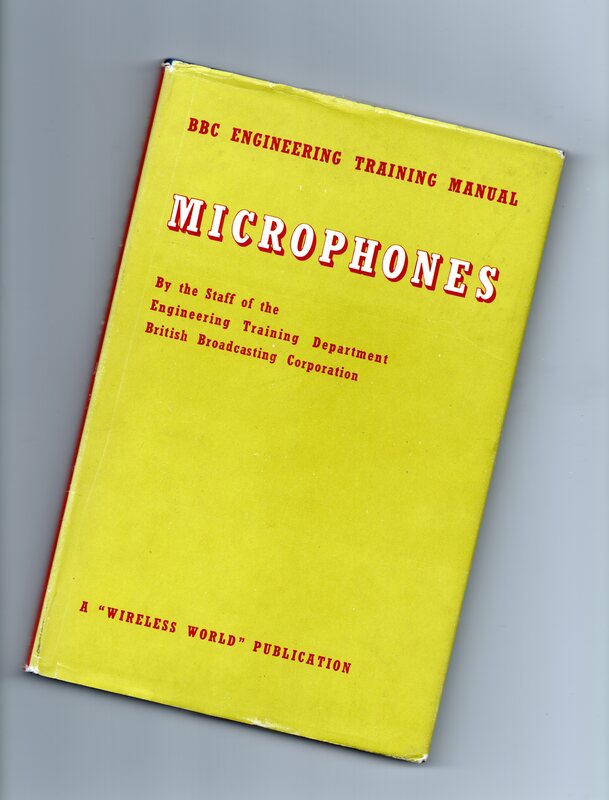 Within a decade of this manual the BBC microphone cupboard would be rapidly filling with exciting new models from the likes of AKG, Sennheiser and Neumann. 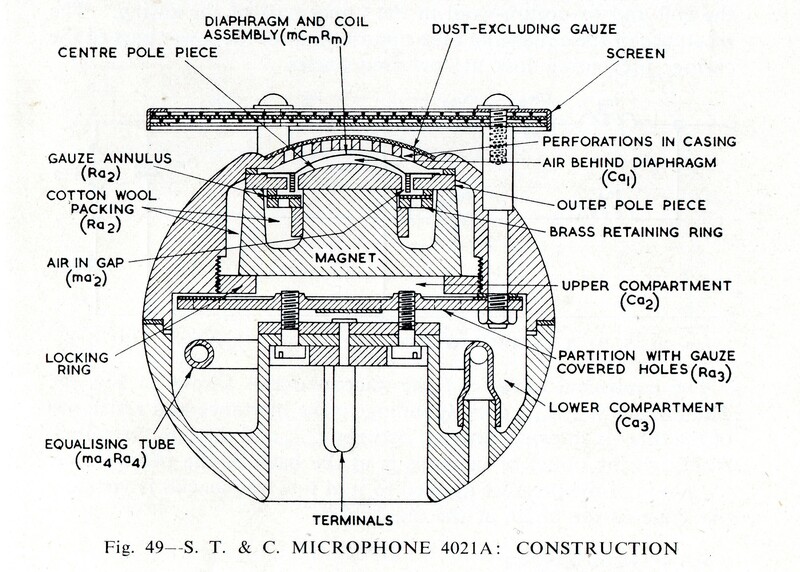 In the following years alongside the growth of television and multi-track recording came a whole range of microphones designed for different purposes. 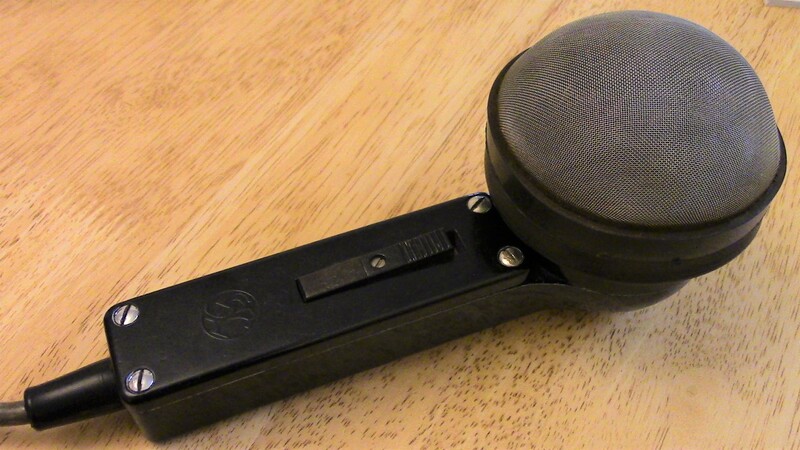 Stereo mics, shotgun mics, lavaliers, parabolic, contact, binaural, ambisonic…………….. A whole new world! Here are some useful links for more information. 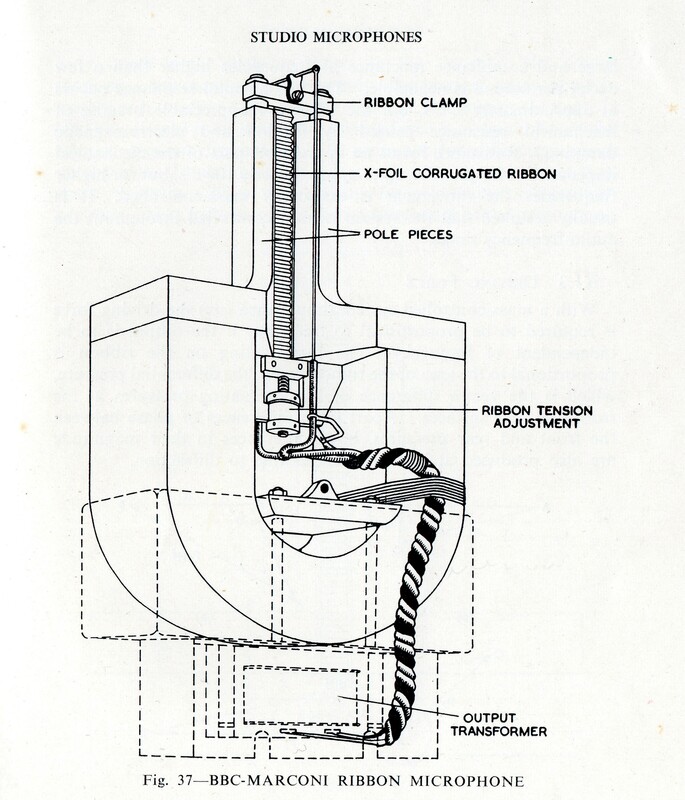 Although the Controlled Reluctance design was in some respects similar to a conventional dynamic in other ways it was significantly different. The 2 diagrams below illustrate the differences. 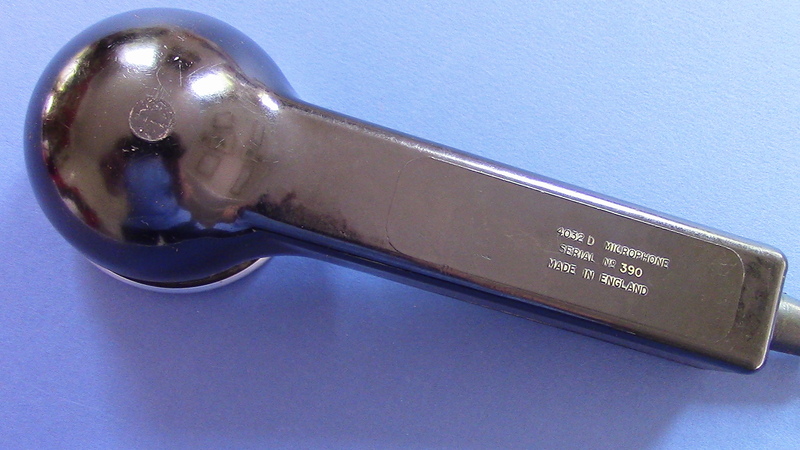 Controlled reluctance is a variation of a dynamic mic. 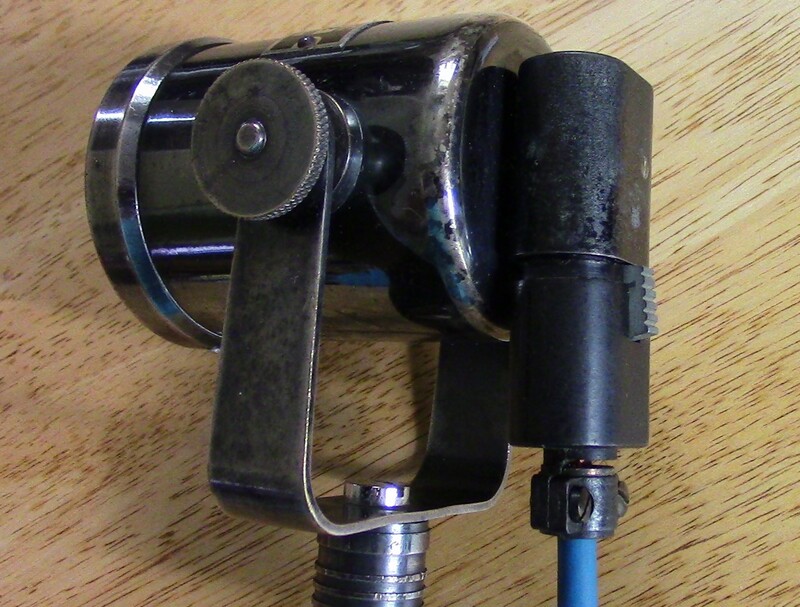 The controlled reluctance mic diaphragm connects to a small lever made from ferrous material. 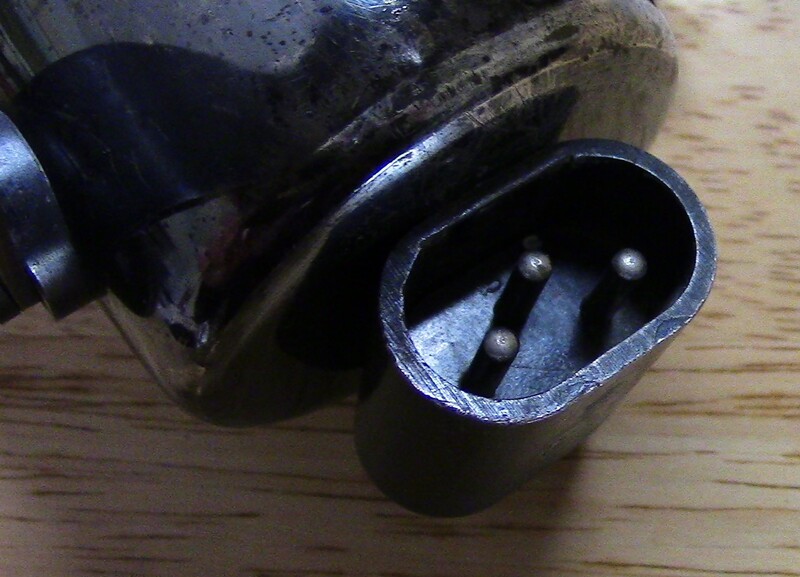 The other end of this lever is positioned inside of a stationary coil of wire. 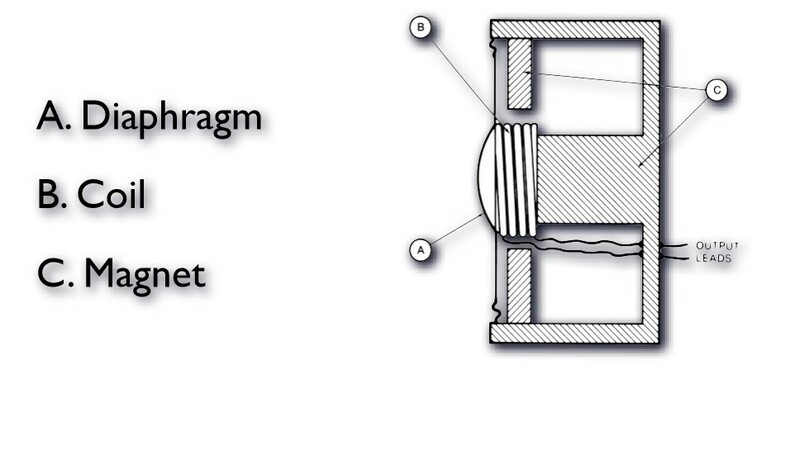 Surrounding the coil of wire is a stationary magnet. 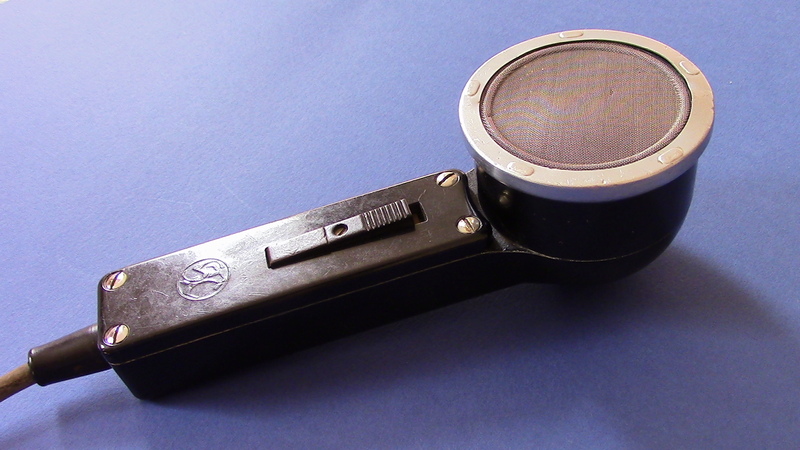 As the ferrous lever is moved by the mic diaphragm, the lever disturbs the magnet field. 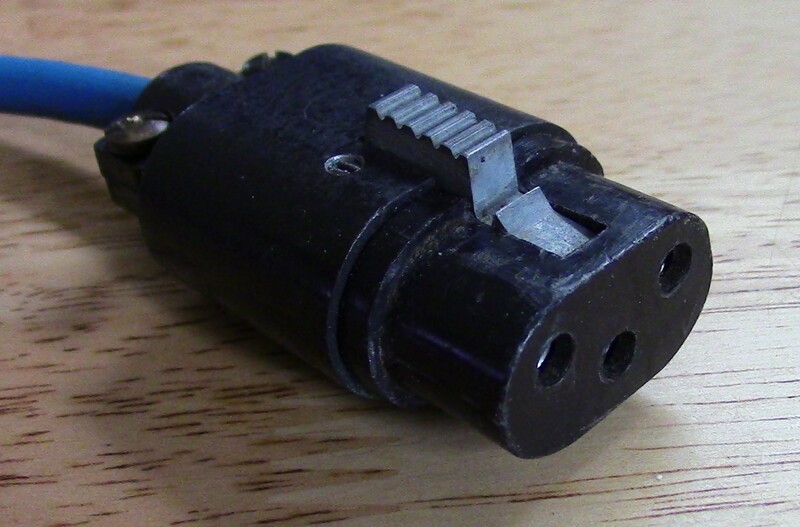 This induces an AC signal (the audio signal) in the coil of wire. 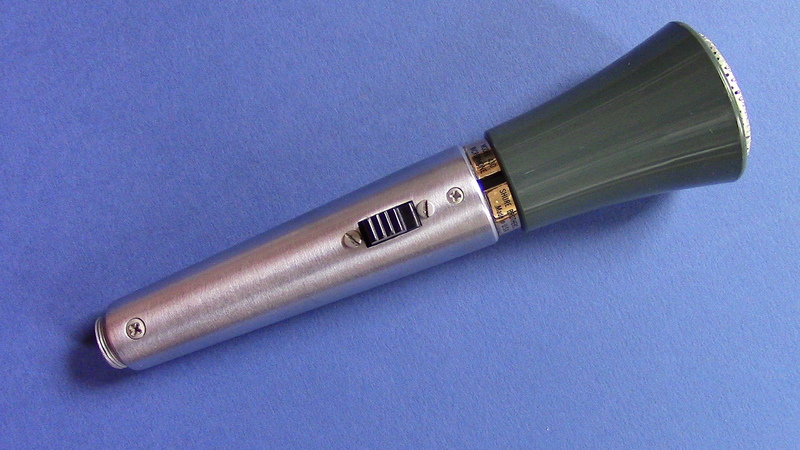 This type of mic was originally designed for military applications. 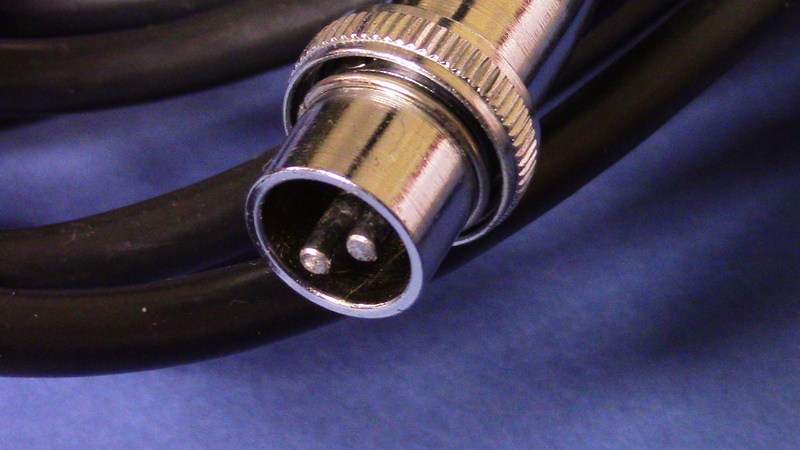 If you buy a 430 make sure it comes with one of these as 2 pin Amphenol connectors are hard to find. The CR/CM elements have a high output (making them suitable for transmission over large distances) and require no additional transformer. They are therefore cheaper to manufacture than a conventional dynamic. 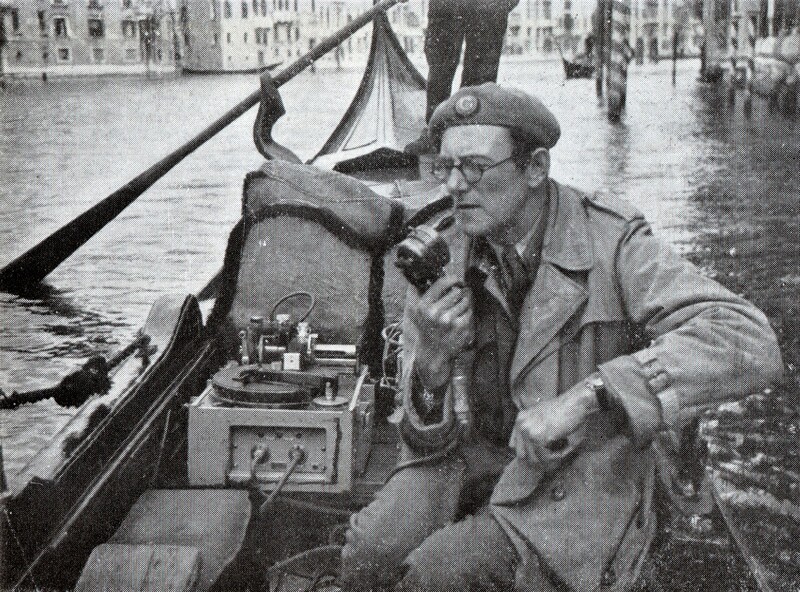 After WW2 Shure introduced several models for the civilian market, including the famous Green Bullet (still popular with harmonica players to this day). 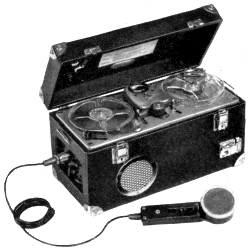 These were mostly budget PA mics intended for speech applications such as paging and announcements. Whilst not being particularly noted for high quality audio, their main selling points were cheapness and reliability. 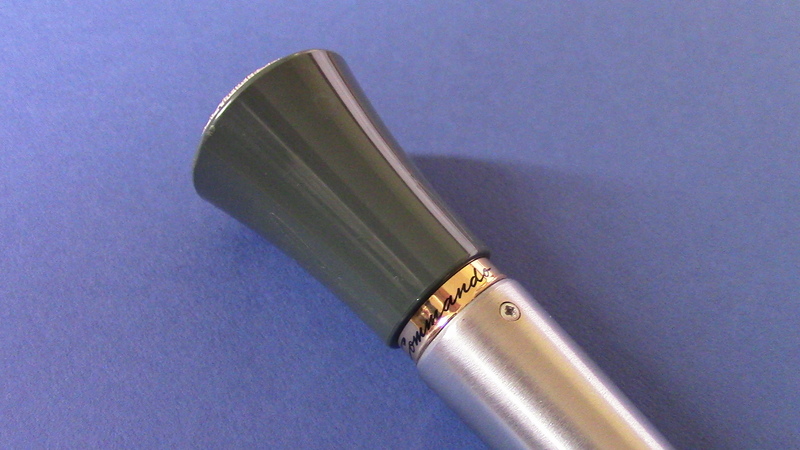 It is therefore not hard to see why these sturdy, affordable mics soon found favour with musicians and singers. 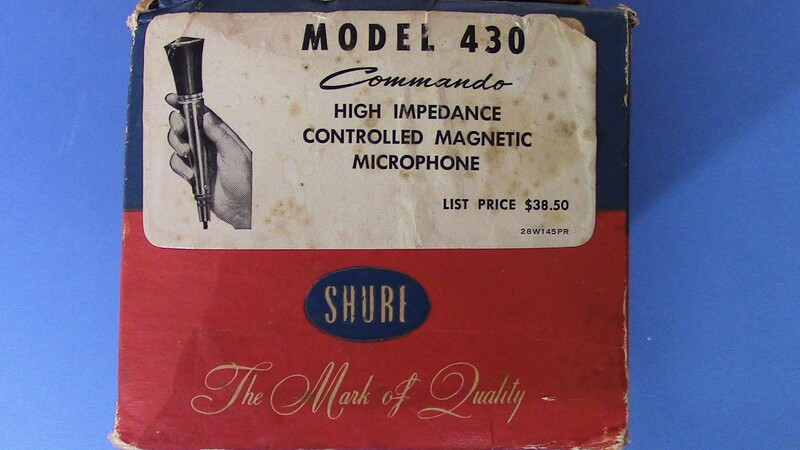 Apart from being highly profitable, Shure’s military communications contracts had the additional spin-off of enhancing a lasting reputation for reliability. 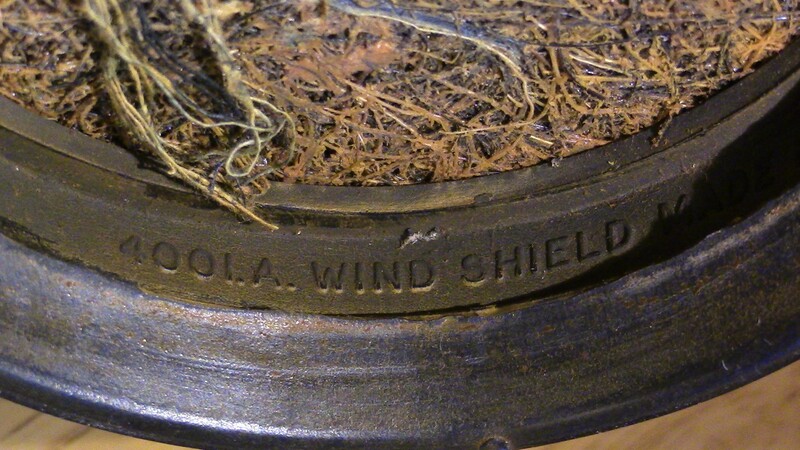 Indeed, the company have often boasted that all of their products are tested to military standards (MILSPEC). Even though the Model 430 was made for the civilian, domestic market it nevertheless trades on its military heritage with the name ‘Commando’ and it’s distinctive, camouflage green head! So what does it sound like? CLICK HERE for a short clip of spoken word and Blues Harmonica.